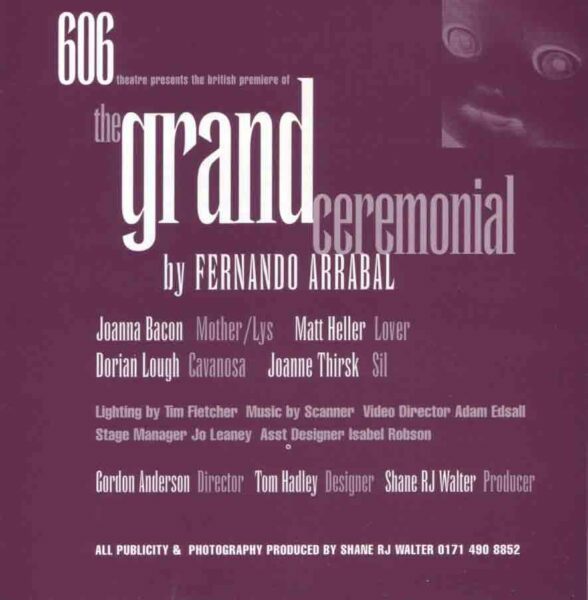 Six-O-Six TC’s production was a British première of a macabre mid-’60s comedy of manners from the neglected founder of the ‘Theatre of Panic’, French-domiciled, Spanish playwright Fernando Arrabal. Directed by Gordon Anderson and designed by Shane RJ Walter, who was later to develop the enormously successful OneDotZero digital arts organisation. I collaborated on developing an eerie and unsettling soundtrack to mirrow the darkly humourous script.